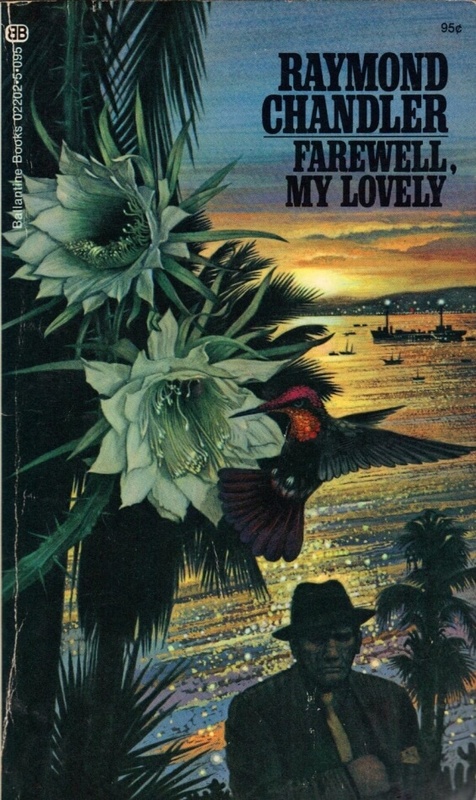 Notes: I've not read a lot of Chandler, but I don't recall hating his writing, so I thought I'd give him another go, this time with one of his best known novels. Mini review: It took me about 40 pages to get into this one, mainly because there seemed to be too many loose ends that weren't connected, but once the connections started to show, I was sold. 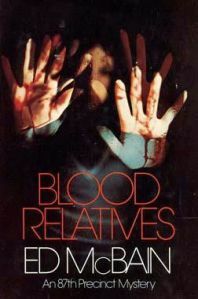 A seemingly complex tale involving a possible jewelry heist gang, an ex-con out of prison, a few murders, drugs, crooked cops, a psychic and a private detective, the one and only Phil Marlowe. A good read, and worth the time of any hardboiled fans. This week over at Nerdarchy, I talk about swords and other weapons within the game of D&D and their relation to their real-life equivalents. 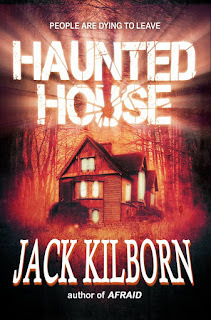 Notes: Kilborn is actually author J.A. Konrath, who I have read a few times before, sometimes liking his stuff, sometimes not so much. Either way, I'm a sucker for tales about people paid to spend a night in a supposedly haunted house, and that's what brought me here. 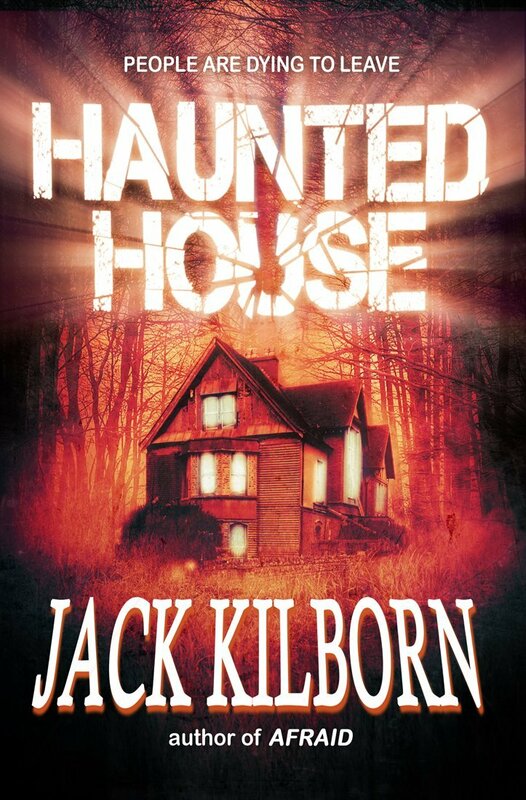 What might even be more interesting is that some of the characters are supposed to be survivors from other Kilborn/Konrath horror novels. Mini review: Not bad. Not great, but not bad. The set-up took far too long in my opinion, practically the first half of the novel, but once the action kicked in, it kicked in big time. The ending was a little too happily-ever-after for my liking, but it is what it is. A nice breezy read. Notes: Still seeking some fiction, I turn to another of my regular authors, this time delving into his second novel for the Hard Case Crime publisher. I'm not a big fan of King's earlier foray into Hard Case territory, but it's King, so I'll give him a chance here. 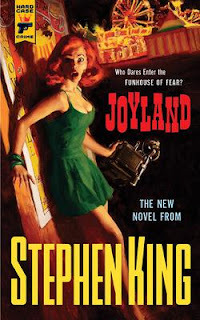 Mini review: This was a much better book than King's other for this publisher, though it did take me 40 to 50 pages to kind of get into this one. The year is 1971, the scene is an amusement park on coastal North Carolina, the main character a 21-year-old college student working the summer at the park. Then there's a murder that happened years earlier, a sick kid with his mom and dog, and a string of carny characters that are unforgettable. Plus, a ghost. Not quite King at his best, but even King not at his best is pretty good. Notes: I'm desperately in need of some fiction, so I turn to my old standby of Ed McBain and his 87th Precinct. Besides, I've a stack of these novels and they aren't going to read themselves. Mini review: This was one of the shortest 87th Precinct novels, only about 150 pages and focusing entirely upon a single crime. A 17-year-old girl is brutally murdered with a knife, the slaying witnessed by her 15-year-old cousin who managed to get away though wounded. Yet questions remain about the culprit, and the 87th boys must figure it out. As always, a lovely read. Star Trek, the original show, I talk a little about it and my five favorite episodes over at Nerdarchy.com. Notes: I've read some of this over the years, but not the whole thing. I'm probably as familiar with the material and the notions of evolution as any average college-educated American, but I'm no scientist and definitely no expert. Still, I feel the material is worth study by me. 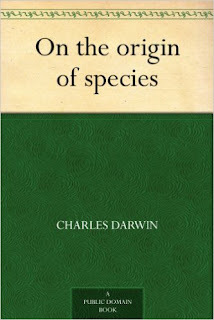 This particular e-book edition is based upon the first edition of the printed book, so I do not expect it to be anywhere near up to date on current thinking concerning evolution, but I'm reading as much for historical interests as scientific. Mini review: There were some surprises here. 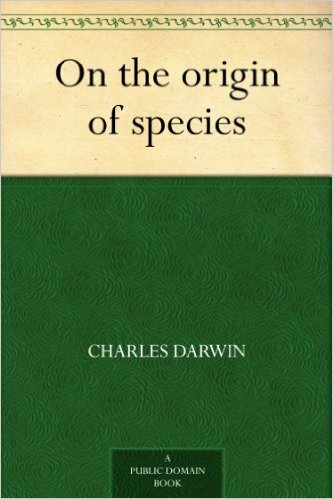 For one thing, though admittedly Darwin is writing in an age far less technical than our own, the majority of his writing is very down to earth and non-scientific, capable of understanding by the average person. The notions he proposes are done so matter-of-factly, not depending upon a bunch of scientific jargon, but are based upon common sense and his own witnessing and studies, and those of a handful of other individuals. Also, his writing style isn't bad, though my eyes did tend to glaze over towards the middle when he got into hybrids and mongrels, etc. Regarding the seemingly never-ending debate of evolution and creation, Darwin makes a good case, and those who stand against him have probably not read him and are not likely to, which doesn't bode well for their own position. This isn't some high-minded scientific theory, but ideas based upon actual evidence, and I'm not talking fossils pulled from the ground (though that is part of it). Darwin, and others, did experiments with plants and animals, growing and raising them, watching them, studying them, measuring them, and that combined with the fossil record and other sciences and reflection gave rise to his thoughts on this subject matter. "Evolution" isn't here a word Darwin used, him coining the term "natural selection" instead, but it is based upon evidence one can see with one's own eyes and experience, not just something some scientist thought up in a lab somewhere. If you're a fiction writer, should you join a writing group? I discuss the subject this week over at Nerdarchy.com. I have a short story appearing in the upcoming The Awakened Modern anthology, and today there's an interview with me over at the publisher's site. Over at Nerdarchy, this week I opine about how you really can't learn to write from others.